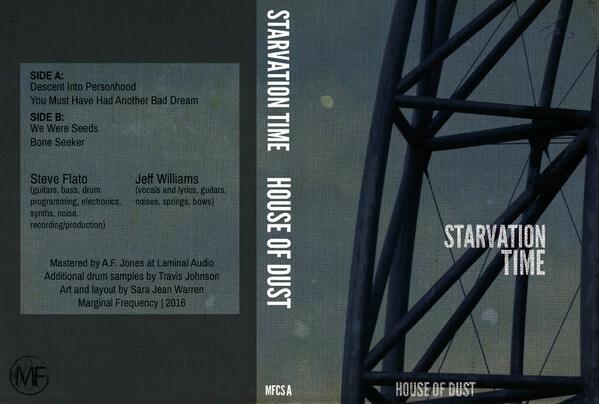 Steve Flato (Guitar, Bass, Drum, Electronics, Synth), Jeff Williams (Vocals, Lyrics, Guitar) with drum samples from Travis Johnson. I kind of chuckle at myself listening to this as it's so far away from my normal likes...but I like it very much. A deep repeating throb that's downshifted once to, with great simplicity, summon forth a range of pop allusions, overlaid with a wonderfully chaotic welter of splintering noise and mutilated vocals. Maybe it's partly the audio clarity where I expect to encounter sludge; there's a surprising transparency here, extremely spatial. This first track morphs into a slightly more standard but still extremely enjoyable guitar/cymbal-tap driven piece, with somewhat less distorted vocals that sounds, I don't know, like what The Golden Palominos might be doing today if they were still good; totally absorbing. "We Were Seeds" settles even more deeply into the groove, chugging along with shimmering guitars offset by excellently paced percussion breaks, then revving up once again. "Bone Seeker" (great title), tones things down just a bit; it's almost stately, although discontent clearly simmers underneath, a regular beat winding through a haze of guitar and electronics, baleful, gray, Williams' vocals slowly becoming more and more intense and frenetic. Not sure where on any rock spectrum one would place this (dark prog?) but it's one of the best rock-oriented releases I've heard in years. No instrumentation is credited (I don't think--as said above, I don't have the cassette, but nothing's listed on the Discogs entry) but the six tracks seems largely made up of field recordings with a gradually increasing presence of electronics and some guitar. And despite those tracks, I hear the recording more as a single piece (a suite, in any case) that shifts focus back and forth from the everyday world (kids playing, vehicles, random clatter--there's a portion on the fourth track that startles me every time I hear it--I swear someone just entered the house, talking in Spanish) to the more hermetic territory of post-industrial electronics. It's a solid, sinewy and thick voyage, absolutely riveting. There's a somehow convincing quality to it; nothing feels forced everything flows--not smoothly but logically after a fashion. The pacing and layering-in of both recordings and effects is imaginative on its own and even the clear acoustic guitar on the last track seems as though it had simply been patiently waiting its turn. A really fine recording--I think the first I've heard from either musician. Eager to hear more. Two drone pieces provided by electronics (maybe guitar from de Asis, maybe other sources), both quite lovely. "La Paresse" has a tonal nature, though retaining nicely spiced lines to offset any sweetness overload. Several layers, one shimmering rapidly, one or two unspooling slowly and luxuriously, perhaps more. One gets the sense of some "hidden" melodic material in there, some Riley-esque patterns buried deeply enough to leave only the vaguest of traces. 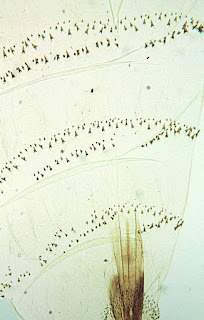 In "La Lenteur", it' the smoothness of tooled metal, cooler and fluctuating in a queasier fashion, in microtonal pitch shifts that almost sound as though sourced from bandsaws, though swaddled in gauze, all over long, deep throbs. There's a subtle change of focus a few minutes from the end, just briefly, but the music then swings around to a similar setting, an adjacent workroom perhaps, the low tones deepening, gathering force. 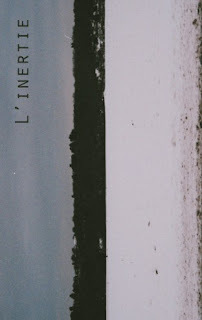 An impressive performance, one of the better drone-type recordings I've heard in a while. 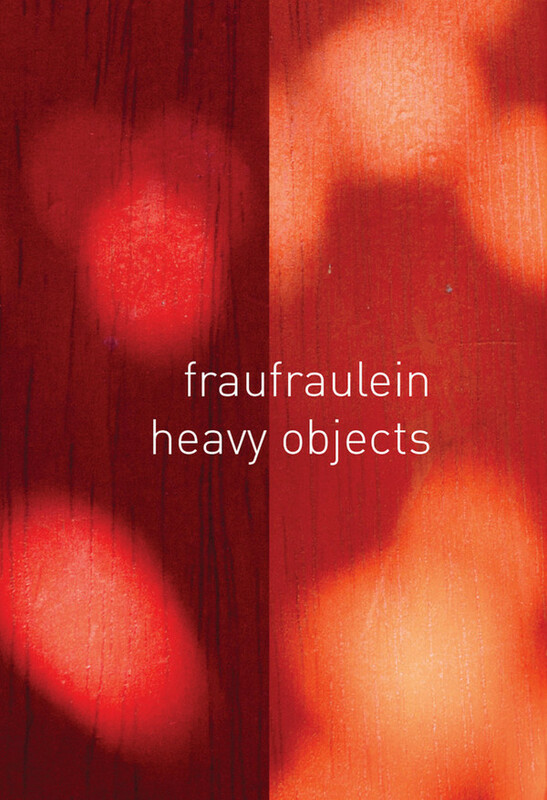 How nice to have some new Fraufraulein! 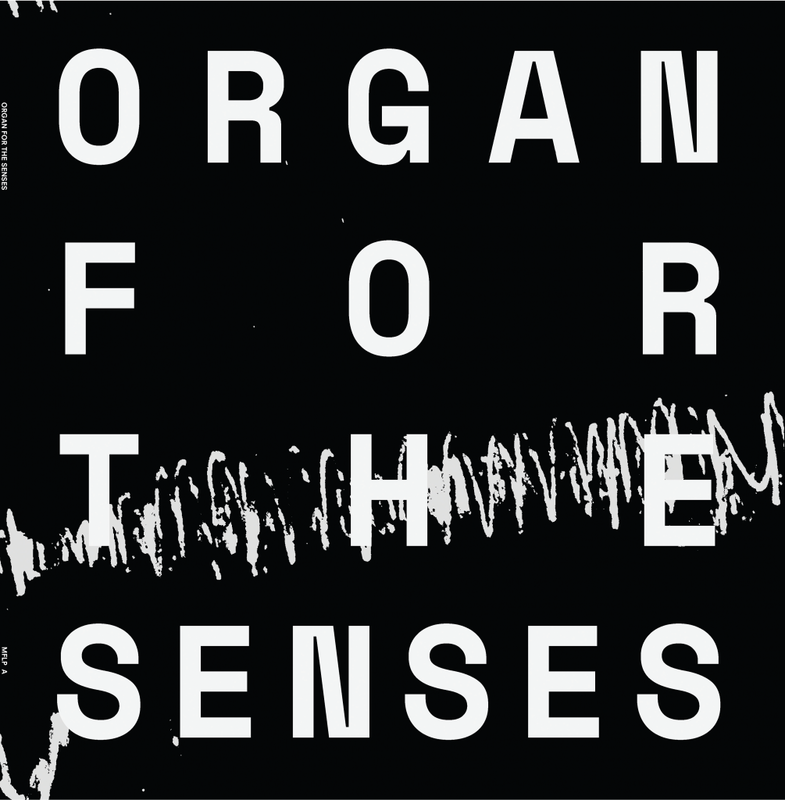 Anne Guthrie (French horn, objects) and Billy Gomberg (electronics, bass guitar) have a special way of creating all-but-casual soundscapes from found materials and horn snippets, often subtly underlined by Gomberg's essentially melodic take on things. There's a relaxed feeling, walking speed, but extremely observant, choosing sounds with a balance of care and nonchalance. There's a sense of a pure field recording that happens to contain musical elements as part of the environment, as when the (I think) small horn burps bubble to the surface about 12 minutes into 'One of Us Always Tells the Truth'; very engaging. Firecrackers in the street begin side two, 'When We Evaporate', sharing space with muffled bass plucks and soft, wistful horn lines, all soon blending with the general, urban ambience outside the window. More small explosions, as though recorded on July 4th or Chinese New Year, airplanes passing, distant radio. Toward the end, the bass becomes a bit more insistent, even establishing a rhythm, Guthrie's horn wafting atop, a very fine coalescing of all that's transpired before. Excellent work all around, a real treasure. More, please. 'Kindred' begins, quite unexpectedly, with a marvelously obscure cover of Eno's 'Taking Tiger Mountain' (the duo assisted on this track by Judith Hamann, cello and voice; Alexandra Spence, clarinet; Cristián Alvear, guitar; Al Jones, lap steel guitar, voice; Gregory Moskos, piano; and Tim Clément, tapes), burying the original beneath swaths of gentle sound and the hazily bent vocals where the tune's melody is limned. It's the start of an enjoyable journey, the music acquiring more of a crust as it goes . as Clément and Ruhlmann take over. 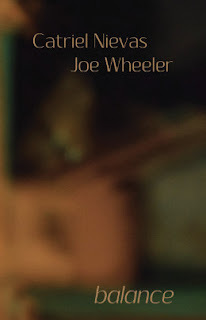 "Against What Light" is chillier, bits of windblown grit coating the sleekness, a voice explicating revolutionary theory (perhaps in homage to the mind of Cardew's tiger), gulls, low moans. Side Two opens with the length 'Between Regions of Partial Shadow and Complete Illumination', picking up where the last track left off, more meditative at first but soon becoming nervous, agitated, the crackles and hums providing more tension than solace. Voices appear again, but they're eerie, more disembodied, swirled into the hum which churns along, very enjoyably, until the inevitable dissipation. The concluding track, a footnote titled, '*', continues the general flow, seeming to want to circle back to the beginning before veering suddenly into thorny high pitches and ending abruptly. Very, very satisfying work. 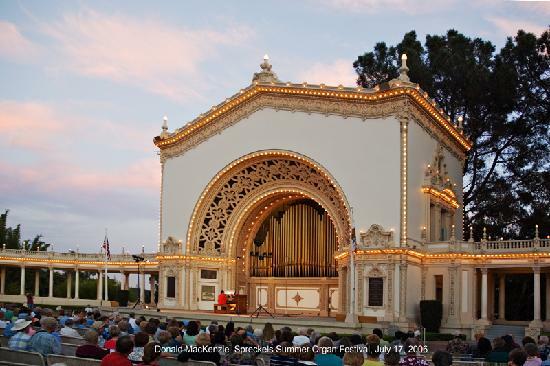 Four works composed for and played on the (apparently) well known and regarded Spreckels Organ in San Diego, California (see image below) and issued by Marginal Frequency in LP format (yes! Their first such!). Pisaro's 'Secular Reason', performed by Justin Murphy-Mancini, is unusual for him, and not only due to the instrumentation. He uses what I'd call very "traditional" pipe organ sounds: the rich, thick chords that I think most of us recall from our youth, and/or perhaps horror films. He sets out, for the most part, three chord sequences, high-low-high, in varying but fairly close pitches. They're like isolated portions of fanfares or chorales and cause a certain amount of (intended?) discomfort as the listener wants to place them in a larger context but is not allowed to. Until, several minutes in, an underlying chord, briefly, ties matters together. After a short silence, the chords have splayed out into a wider pool before a recursion to a version of the beginning pattern, stretched out and underlined. I've found there's often more to glean from Pisaro's scores than meets this listener's ears and would be curious to see what was up on this one. A final, lengthy chord that attenuates as it lingers brings to a close this odd piece, simultaneously making strong reference to tradition (the sounds utilized) and the new (its structure). 'An Inside-out Map of the Spreckels Organ Pavilion', by Samuel Dunscombe (also played by Murphy-Mancini) explores the innards of the instrument. The sounds--thin whines, airy rushes, crackles and more--still retain vestiges of "organ-ness" and more, of extreme power and force. One feels like a tiny organism caught within the pipe system, buffeted around by its inner workings. A wonderful enveloping and mysterious piece. 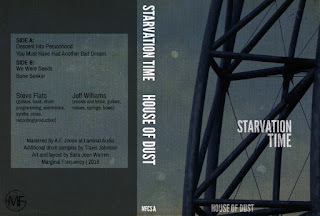 Steve Flato (showing great range traveling from the previously reviewed Starvation Time to here) contributes a marvelous work, 'Face South Toward the Storm', a darkly eddying piece (played by Jared C. Jacobsen) where muted, tense chords vie with electronics to create a somber, misty place. In the shadows, though, vaguely Messiaenic chords emerge, glowing and hopeful. About midway through, there's a beautiful dropout and a renewal of clear, lovely tones, almost ethereal. A really great piece, maybe my favorite thing heard from Flato over the years. 'Artificial Horizons' is co-composed by Celeste Oram, Wen Liu and Johannes Regnier (performed by Jacobsen with the addition of vocalist Mary Glen Fredrick). It's a little all over the place, having some almost theatrical sounding riffs near the beginning, changing into spacier, ring-modulator-type of sounds, then introducing the spoken text. There's a repeated two-note "melody", with variations that pops in now and then to give a common thread. It's an interesting piece, maybe a little unfocussed, but something I'd very much like to hear expanded upon; it sounds almost like an extract from a much longer idea. A very fine release overall, in any case, offering equal amounts of (unusual) challenge and reward. Marginal Frequency has become an extremely fine imprint with ten releases as of now and, hopefully, many more on the way. The two recordings are from widely separated points in Frey's career and the innocent listener might be hard-pressed to think they were hearing work from the same composer. Frey's electronic/field recording music has been less thoroughly documented over the years, though one of the pieces more or less contemporaneous to the ErstClass release, 'Weites Land, Tiefe Zeit, Räume 1 - 8' was issued on eight discs by Radu Malfatti's b-boim label in 2010 and, indeed, is one of my very favorite releases of the past decade. 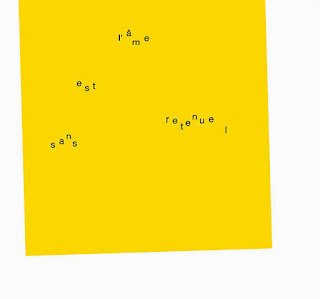 More directly connected to this recording, b-boim also issued, in 2008, 'l'âme est sans retenue III' which, at 66 minutes, is like a mini-version of the ErstClass (though with notable differences) but if my copy is accurately inscribed, there were only 76 copies printed so it hasn't been widely heard. The original source recordings for these pieces were made from 1997 to 2000 and consist of, at least as far as I can tell, "simple" recordings outside, in public spaces in Berlin, which are then worked on to a greater or lesser degree (I hear more of that in the b-boim than the ErstClass recording, but it might just be a matter of the sources), never enough to cause severe distortion or to render them at all unrecognizable. There's a certain woolliness about them, a haze of atmosphere about which more below. But enough about the elements, what about the experience of hearing? Well, it's unlike most anything else you're apt to encounter. I often make visual analogies (as does Frey, incidentally, often with regard to some association with landscapes) and here, a have the recurring image of street scenes shot with an old movie camera, maybe circa 1910, scenes where there may or may not be any particular activity occurring. Periodically, the camera's aperture closes, quickly but not so abruptly, remains closed for some seconds or minutes, then reopens on another scene, having moved only slightly or traveled a significant distance. Alternatively, sometimes the visuals are not cities, but clouds, the silences blue sky. Though if clouds, more likely contrails than naturally occurring ones; there's something manmade about the sounds, an urban hum pervades. The air vibrates with echoes of generators, automobiles, electric lights; there's a certain sizzle. Then again...you can shift focus and hear, for instance, ocean water advancing and receding between beach rocks (enhanced when a distant gull call can be discerned). Many ways to hear and all of them, for me, oddly active. One might have guessed that work like this would be somehow relaxing, meditative but I don't find it so at all. I remain hyper-alert, trying to hear as deeply into the sounds, establish relationships with the silences and then, of course, listening to the silences (my environment; the heat coming on this cold day offers a weak approximation of Frey's sounds). No placid dozing off here. It's difficult music, sometimes reminding me of a quasi-similarly hard piece by Frey which I'd just heard performed in Cambridge, '60 Pieces of Sound' which, in turn, reminds me of Gerhard Richter's Color Chart paintings. That Frey piece, though, as well as the Richters, are oriented in regular fashion; in '60 Pieces of Sound' you have sustained tones of about eight seconds followed by silences of about sixteen. 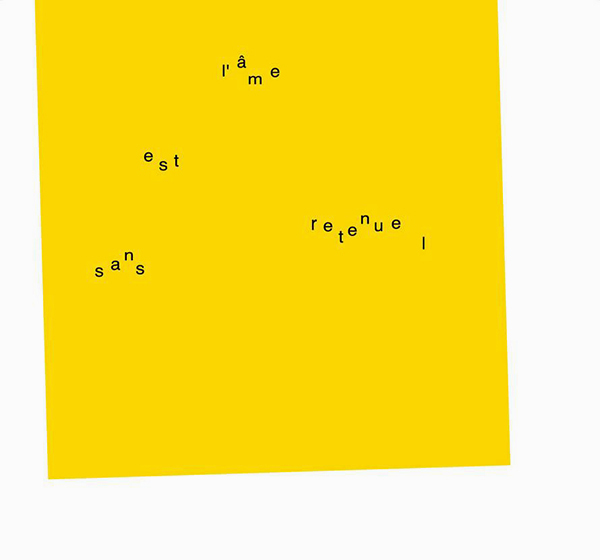 In 'l'âme est sans retenue I', it's as though far relatives of those sounds have been released from those strictures, allowed to float up and, while still separate and distinct, enabled the spaces between to expand or contract, buffeted randomly by the wind. 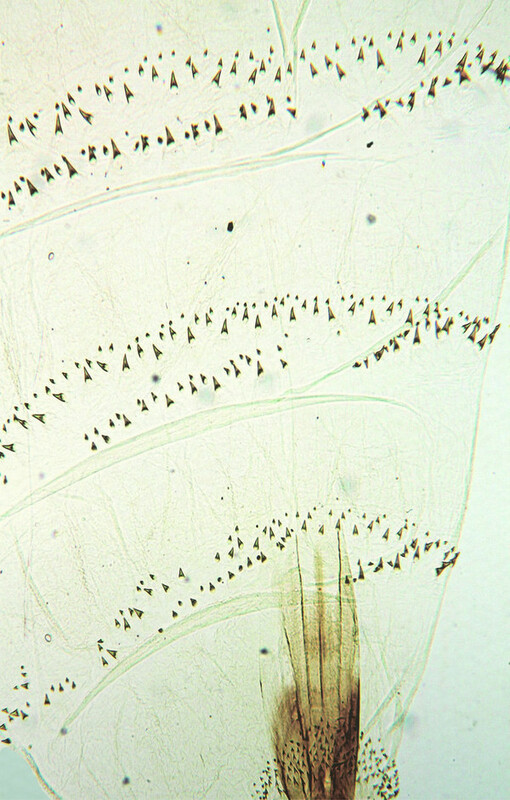 How one listens to a work of this length and seemingly tenuous construction is left up to the listener to determine. I've listened with concentration, distractedly, from two rooms away while reading and, despite my assertion above, dozing off. The music works in different ways, depending, and I've by no means exhausted the possibilities. 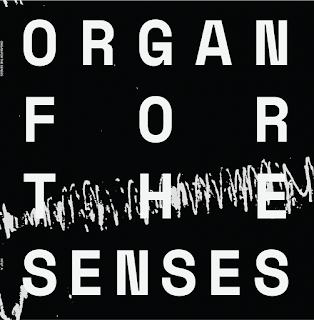 Frey's composition, 'Ferne Farben' appeared on an earlier Another Timbre release, 'Grizzana', and was also performed in Cambridge on November 8 by the ensemble Ordinary Affects (Morgan Evans-Weiler, Luke Martin, Laura Cetilia and J.P.A. Falzone) along with Frey. It's an extremely quiet work and the acoustic sounds are supplemented by taped ones, also at extreme low volume, more than enough so that it was next to impossible to determine whether what one heard emanated from the speakers or outside the venue. 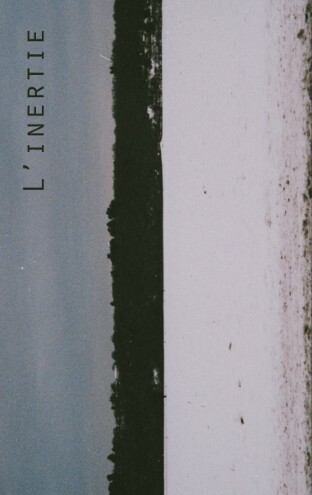 A fantastic work, I was thinking while listening that it could serve as a kind of bridge between the music heard on 'l'âme est sans retenue I' and that which appears on 'Collection Gustave Roud'. 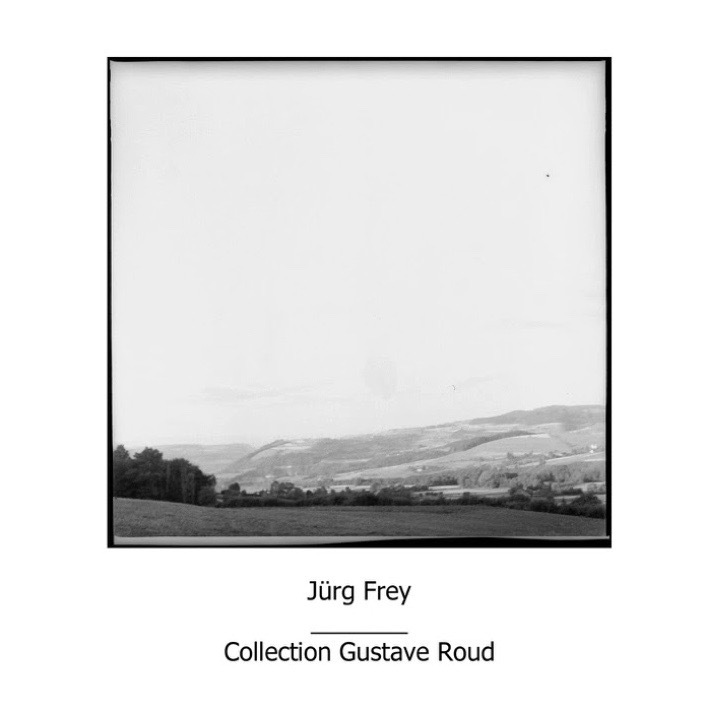 Along with the general notion of "landscape", the words of Gustave Roud (1897 - 1976), a Swiss/French writer/poet, have served as a longstanding source of inspiration for Frey. This is a superbly curated selection of such works, maybe the finest single grouping of later Frey pieces I've heard. Three are somewhat short in length (about 8 - 15 minutes) and are written for similar trios: clarinet/cello/piano, violin/clarinet/piano and violin/cello/piano. These bracket to much longer pieces, 'La présence, les silences' for solo piano and 'Farblose Wolken, Glück, Wind' for soprano, trumpet, cello and percussion. A favorite aspect of Frey's music, for me, is his total lack of fear to deal with material that might be called conventionally beautiful, short melodies and sequences that "pull at the heartstrings". 'Paysage pour Gustave Roud' (Frey, clarinet; Stefan Thut, cello; Dante Boon, piano) is a particularly moving example of this, the two, three and four note passages just breathing with both melancholy and serene acceptance. As in a landscape, and in common with much of Frey's music in this area, there's a perfect balance of the expected--the way you expect a meadow to continue over a hillside--and the unexpected, as when a path disappears or a rock formation looms into view after an innocent turn. He often sets up small patterns of rhythm or melody, lasting just long enough for the listener to get comfortable, think, "Ah, I know where this is going" then, always gently, he shifts things, extends the duration of a beat, inserts the slightest bit of sourness into a sweet series of notes. This always strikes me as so true to life, always causes shivers of delight and recognition. The set of descending two-note patterns near the conclusion is just devastating. Such a fine work, hard to stop listening. 'Haut-Jorat' (Andrew Mcintosh, violin; Frey, clarinet; Boon, piano) is a suite of five brief passages. It's a bit more somber, more astringent than the previous work, the five sections interrupting any sense of languidness though each is slow, quiet and doesn't feel rushed. More like a set of glimpses through a window out into a cold and lovely landscape, a fleeting thought captured. In a way it reminds me of a tiny re-orchestrated, sliver of 'l'âme est sans retenue I', a similar feeling of the opening and closing of an aperture. Very lovely. 'Ombre si fragile' (Mcintosh, Thut and Boon' closes the two-disc set but echoes the first two pieces in general demeanor. Though sparer and more episodic, the sense of melodicism remains, the strings often playing together in grainy harmonics, the piano offsetting with darker commentary. There's a dusk-like feeling imparted and the piece ends with a lovely lack of resolution, simply evanescing. These three works surround two of substantially greater length, both profound. I'll say outright that 'La présence, les silences', played here by Dante Boon, is one of the finest pieces for solo piano I've heard in years. For my money, it should be part of the contemporary repertoire. Boon, of course, is an amazingly sensitive pianist and, according to Frey, plays the 41-minute work entirely from memory. Describing it is difficult without falling back into landscape tropes. It's not quite "slow" but is exceedingly patient, shifting from lengthily repeated single notes to bright chords and back, again beginning to give a hint of recurring patterns but never quite getting there. (As has happened in other recent, quiet piano pieces, the action of the pedals--or key levers?--is quite audible. This may be a distraction for some but I find it to be like a ghostly echo, a soft response to the notes and don't mind it at all). It's almost like one, slowly unfurling melody, with few signposts (perhaps only those repeated notes) as reference, more like a path leisurely walked upon but closely observed. Musically, I hear some vestiges of Satie's Rosicrucian period, the 'Ogives' and others, but that's very tangential. The music absorbs utterly. 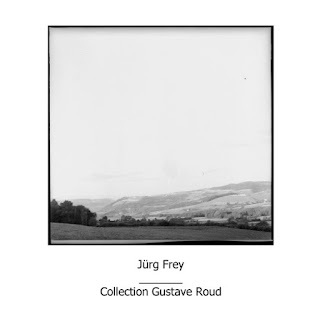 Frey uses extracts from Gustave Roud's journals that cover a long period from 1916 - 1971 as the text for 'Farblose Wolken, Glück, Wind' (Colourless Clouds, Happiness, Wind), as well as a text of his own, in German, performed by Regula Konrad (soprano), Stephen Altoft (trumpet), Stefan Thut (cello) and Lee Ferguson (percussion). The Roud text is an interesting combination of the everyday, very plain spoken/written and the subtly unworldly. In doing the translation, Frey didn't want any poetic license taken, instead asking us to (possibly) unearth the poetry contained in those basic terms. It was an odd venture, sometimes disorienting as when one could in no way get around the phrase, "J'entends une fanfare" ("I hear a flourish of trumpets"). And, at least to some extent, Frey deals with this literalness in the music, as becomes startlingly clear with the above example. It's not an easy . piece, lasting over 48 minutes and having a slightly more sour tonality than the other works on the album, but it's just as rich. Konrad's soprano has a hornlike quality and meshes wonderfully with both cello and (at first) subdued trumpet. I find the music less "pathlike", more stationary, as if the listener is sitting observing the landscape, and the weather, instead of walking through it. The tones are ghostly, foglike, at least for much of the piece. When that flourish of trumpets arrives, with accompanying snares, it has the shock of a thunderclap in blue sky (easily twenty times louder than anything heard previously in Frey's recorded catalog) but serves as a fine tonic, an understanding about the variation in things, even when one has learned, as I feel Frey has, to view matters with more serenity and acceptance. It's a complex, marvelous work, one that has unfolded in many different ways each time I've listened. Both recordings are inherently outstanding and, too, serve as indicators of the range and vision of this remarkable composer.